What Happens When Your Client Runs Off with Your Images and Doesn’t Pay? If you’ve worked in this business long enough, chances are you have dealt with this issue at least once in your career: What begins as a promising project and business relationship turns into a frustrating, confusing debacle that often ends with the service provider (you!) being hung out to dry. Here are some steps you can take to prevent this from happening, and what to expect when the crap hits the fan. HUGE disclaimer: I’m not a lawyer, and this is not legal advice. If you want that, hire an attorney. My stories and insight below are there to provide ideas, suggestions, and resources to learn more. Of course you should always try to carry yourself with high business standards and professionalism… but eventually you just need to do whatever it takes to get paid and move on. In cases like these, burning bridges doesn’t matter, because you’d never want to work for them again anyway. I’ll begin by sharing a short story of getting stiffed once early in my career. This was a very young, eager version of myself from that job. I didn’t have a contract with him, so I felt that I was rather SOL. I spoke with some of the other contractors from that shoot, and they were planning to take him to court, but I never heard of any actual claims that arose. I had only been freelancing a short time at that point, and this was a wake-up call. I needed to have a signed contract from EVERY SINGLE PERSON I agreed to work for. It seems like a no-brainer now, but when having positive conversations with new clients, or seriously needing the work, I often took people at face value. And that’s how I got burned. So in short, the way to protect yourself or your small business from these unsavory individuals who want to exploit you, is by having them sign a contract. You can Google to find all sorts of contracts, and even download a free one from the guys over at Nimia, but it might be worth it to hire an entertainment lawyer and build a contract that is iron-clad. It won’t be cheap, but losing thousands of dollars because someone didn’t pay or because your contract didn’t have clear enough language will cost even more. Consider it another form of insurance, and write it off as a business expense. A good friend of mine recommends Hertz Schram P.C. for consultation and document drafting for video or photography production. Let’s step back for a moment though. Imagine you have a self-written contract, with decent terms and you feel good about using it in case the worst happens and you need to go to court. This is what I use, and I would perfectly OK going to court with it in hand. I’ll share another story about when someone tried to get around paying me, AFTER they signed my contract. Around 2006 I was hired as a freelance camera operator by Starz Entertainment. They had a producer who was coming into my town, and needed someone to shoot video clips at video gaming tournament. It was a craiglist ad, and after responding, they agreed to my rate (I think it was around $450) for an evening of video shooting and handing over my tapes at the end of the shoot. The shoot went fine, and I made them sign my contract before hitting the road with the work I had done. About a month went by and they had not paid, so I began emailing and calling. Two more months went by, and I finally got through, with excuses about traveling, being ill, and everything else thrown at me. My contract stated that I be paid with 45 days, and it had been twice that by the time I called and left a voicemail to inform them that I would be taking legal action to recover my payment. I lived in Michigan at that time, so I went online and read that for the amount I was seeking, I would need to file a small claims suit. There is a plethora of documentation available on the process of filing these, and it will vary from state to state. One catch I’ve found in several states is that you need to file the claim in the same city or county in which either the claim arose, or where the person you’re filing against works in. Since this was a local job, it was easy for me to drive to the county court and fill out the small claims form. I needed the name and address information for the person I was filing against (which I had since it is part of the information I get on my contract). For a small fee, a certified mailing would be sent out on my behalf. For a bit more, I could pay to have the person served in person. I elected the cheaper route, and after a month, there was no result. I filed again, this time electing to have the person served. I’m not sure if they ever received it or not, as I didn’t get any notice from the court during this entire process. I did however come home one day to a letter that was taped to my front door. It was from the person who owed me money, with a check that was accompanied by a nasty letter about how I over-charged them and they would never work with me again. My guess is that they received the certified letter and decided to just pay me what they owed. Fast forward to this year. I was living in a new state, trying to make contacts and rebuild my client list. I was eager to get work, and accepted some lame projects without a contract simply because I needed them. 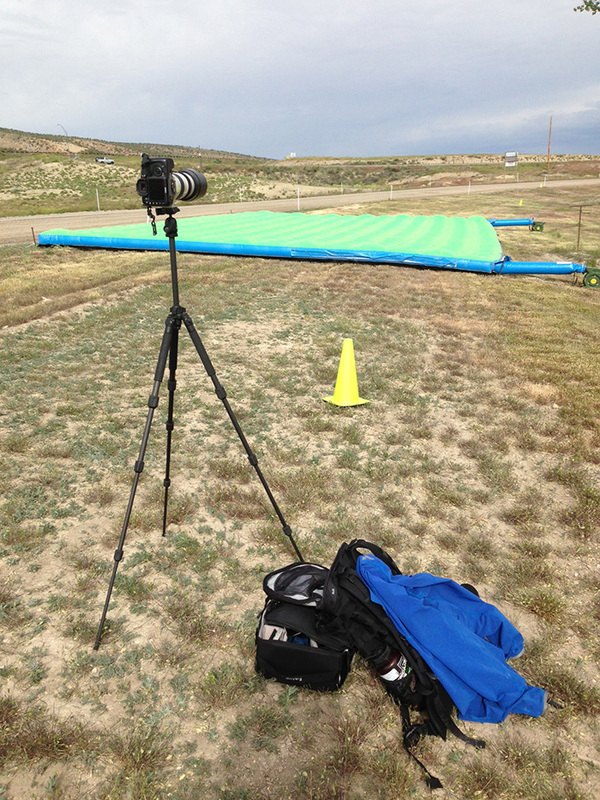 I was hired by a man I would later regret meeting named Wayne Bowring (another craigslist job, of course) to take event photos at a race in Grand Junction, which is about 4 hours from where I live. Like an idiot, I didn’t send him my contract, but in our emails, the pay details were clearly stated for what simple work I’d be doing. For a measly $140 I agreed to shoot stills for a few hours at this race, and as the weeks went by, I got the run around from this client. Problems with the bank, it’s in the mail, etc. Several months passed. I knew that I could file a small claim, but I’d have to travel back to the site of the shoot in order to do so. Rather than do that, I decided to try everything I could before having to take that course of action. The amount of money was trivial, but it was the principal of the matter. Here are some things I did, and you might want to try before taking the legal step forward, as any one of these might get your non-paying client to stop dragging their feet when it comes to paying you. Since I didn’t have a contract, I printed and took notes on all correspondence, including creating a summary with key dates and information. I’ve heard that this sort of documentation can hold up in court, but I could be wrong. I contacted other shooters from the event to see if they had been paid. There are strength in numbers, and perhaps someone had a different phone number or address for the client. I researched what steps I’d need to take to file a small claim, and made sure I had all the information needed. I emailed the client and asked him to confirm his address (which I found through internet sleuthing) which he had never given me, so that I could make sure he received the certified mailing with the notice of the suit. I found out that his wife was a business partner, so I emailed her as well. After I inquired about his address so that I could send him the claim, I got a check in the mail about a week later, without having to go down the legal road. It was a pain, and I didn’t like the somewhat creepy things I was doing to find out information about him and his business, but in the end it got me paid. Unfortunately there are people out there who will just take advantage of others and I for one won’t stand for it anymore. If you do need to go down the legal road, check with your state government to see what the proper process is for filing a claim. You will need information on the person you file against, and it might require you to travel to the place you performed the work in. So besides having a contract signed and agreed upon, what precautions do you take to make sure you get paid? I’d love to hear some stories of times when a client didn’t pay, and the recourse you had to take to get what you were owed. 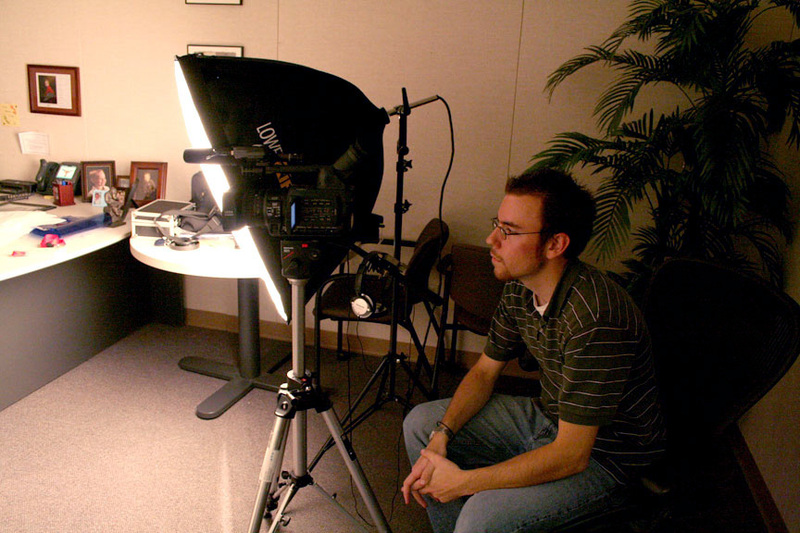 Mike Wilkinson is an award-winning multimedia director that operates his video production business Wilkinson Visual out of Lexington, Kentucky. 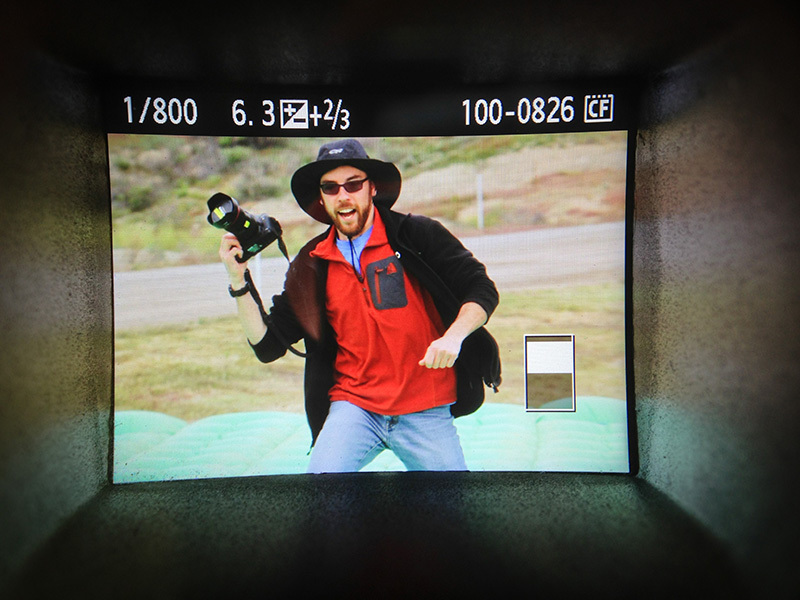 Mike has been working in production for over 10 years as a shooter, editor, and production consultant, from directing documentaries overseas and editing feature length digital films, to shooting live sports and making travel photography. 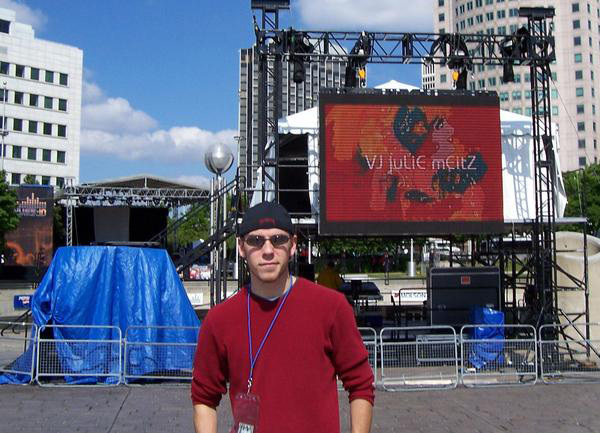 Mike has produced for and had work featured by many national and international media outlets, including Outside Magazine, Rock & Ice, Gizmodo, ESPN, TNT, Michigan Sports Television, The Big Ten Network, Roadrunner Records, and lots of Michigan-based ad agencies.